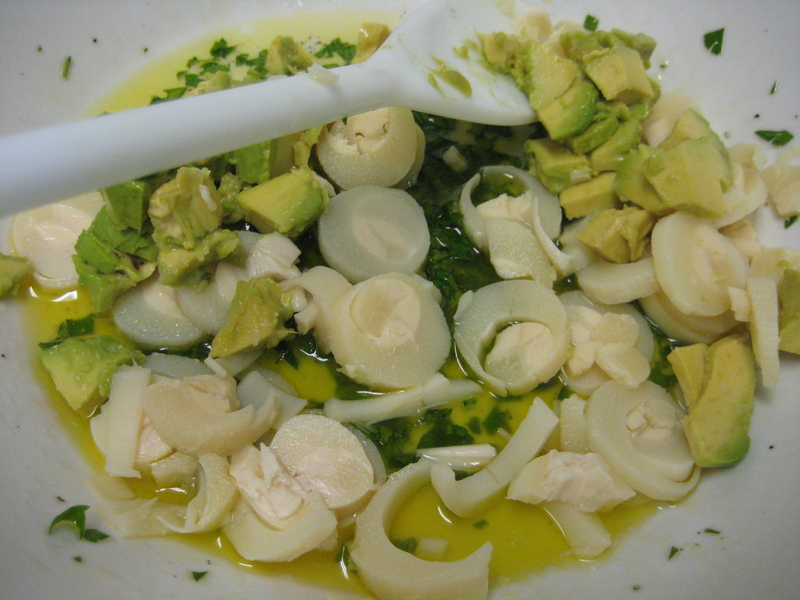 I had no idea what Ceviche was, I just knew when I read the ingredients on the recipe it looked good! I came across it in my Vegetarian Collection cookbook. The cookbook says it is commonly served throughout Central and South America, but is usually made with seafood in it. You could eat this like a salad or heap it on top of crispy whole wheat pita bread like we did! 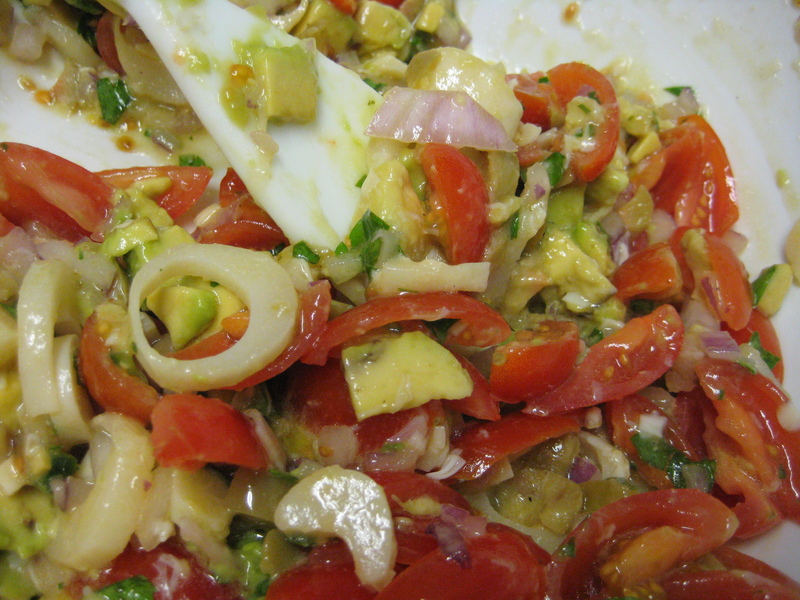 The ceviche is “zingy” and flavorful. It also has ingredients I normally don’t like raw if at all, like olives and tomatoes, but I gobbled this up! The fat fills you up, and not in the gross “I need to unbutton my pants and let my gut fly” kind of way, so you could have it as a light supper, snack, or appetizer. 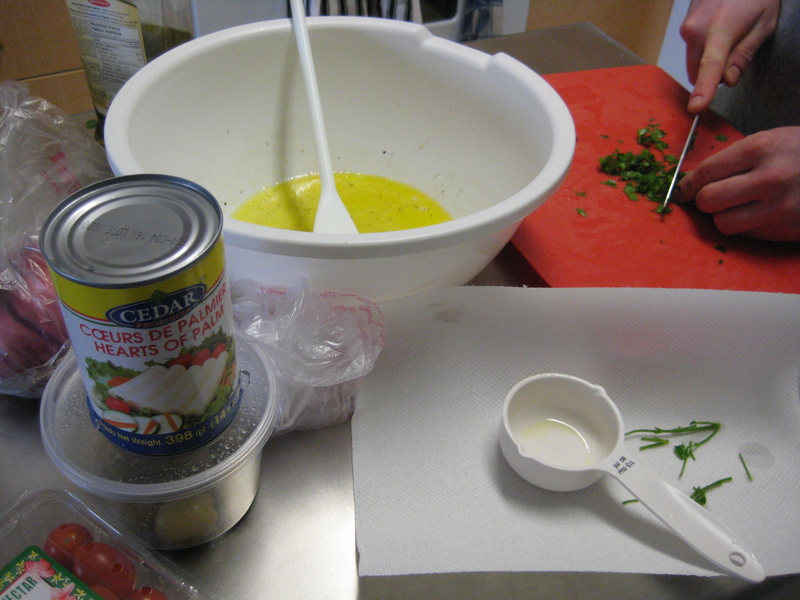 In a large bowl, whisk together lime juice, salt and pepper. Whisk in oil until thickened. Stir in parsley and jalapeno. 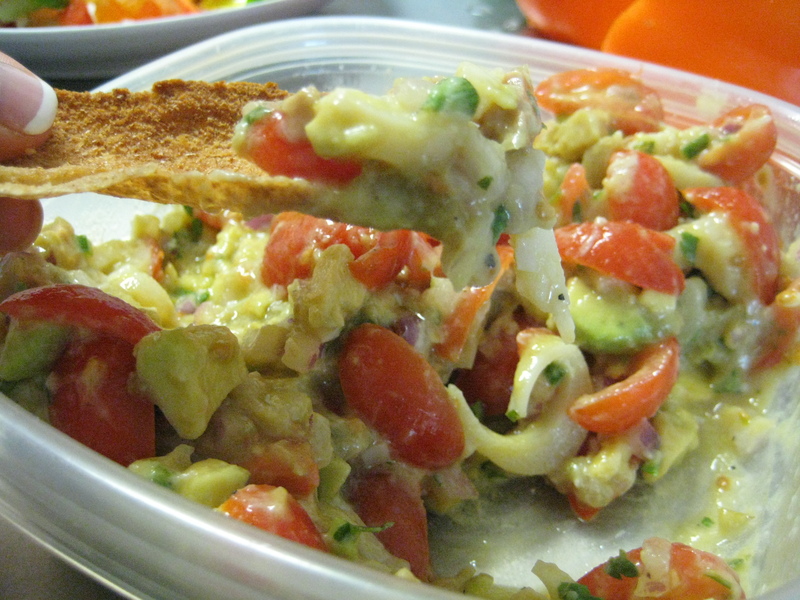 Cut hearts of palm into thin rings and avocado into 1/2 inch pieces; add to bowl along with tomatoes, onion and olives. Toss to coat. Let stand for 10 minutes, or refrigerated, up to 6 hours (I’m not sure when happens after the 6 hours…this is just what the recipe states). Different – looks like I need to try this one too! Mmm this was on offer everywhere when I went to Ecuador, but I never had it because of the fish. I should try this one to see what I was missing! You should!! It’s delicious! Let me know if you do. Everything about this sounds great! I recently tried hearts of palm and fell in love so I’m so excited to try this out. Perfect warm weather dish!